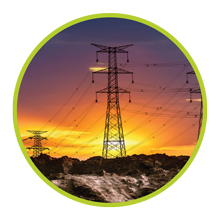 APS undertakes EPC Contracts for EHV Transmission lines from 66kV to 765 kV as well 800kV HVDC. successfully completed more than 1500KM so far. These involve Gantries and Equipment Support Structures. Gantries guide the power conductor from last tower near substation to the electrical equipments in a substation. It is also used for line crossing. 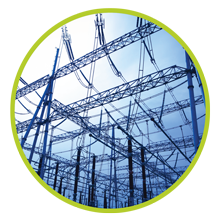 The Equipment Support Structures are columns which support the electric equipments in a substation.We manufacture the PGCIL approved 33 KV to 765 KV switch yard structures, gantry, and equipment structures. With our technical prowess and experience, we can easily mount any of these on a substation as per client’s needs. We specialize in construction of Lattice Towers as tall as 40 to 80 Mtr. for high speed zones. Lattice Towers are sturdier in comparison to its counterparts, making them ideal for locations with inconsistent wind conditions. Moreover, they occupy less space and thus are suitable to urban settings. 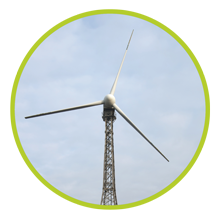 We successfully manufacture towers for high wind-speed zones. 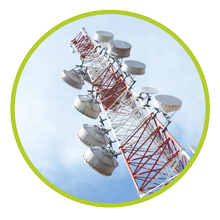 We efficiently carry out design and construction of Telecommunication Towers of over 100 Mtr. With SERC approvals for 9 to 24 Mtr. height Roof Top Tower and 24 to 70 Mtr. height Ground Base Towers, we boast of a proven track record. 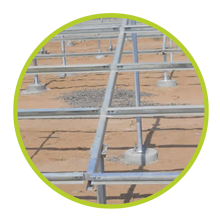 Manufacturing and supply of solar support galvanised structures.